We meet the first and third Tuesday of the month from 10am to 12pm in the Family Life Center. We make prayer shawls, lapghans for the vets and nursing homes, infant caps for Moffitt and Brandon Hospitals and baby afghans for Life Care of Brandon. Come join our group and learn to knit or crochet with prayer! 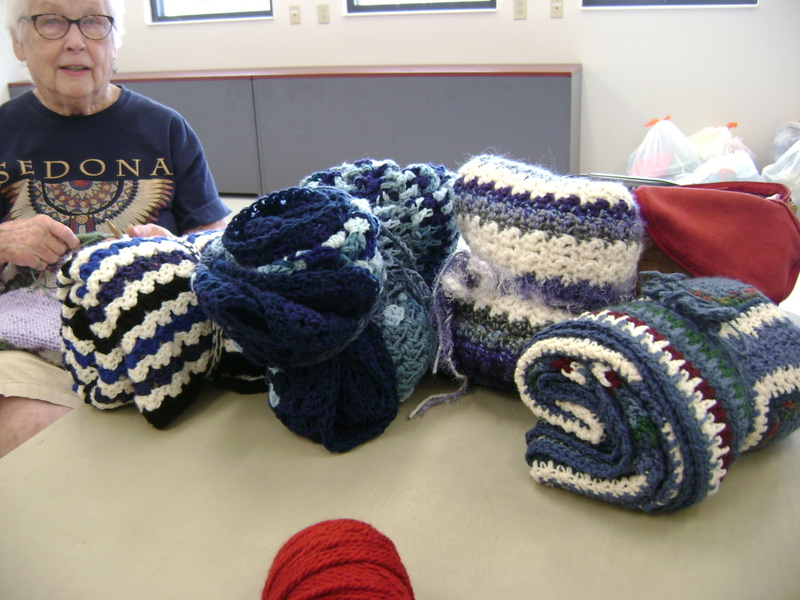 We welcome new members and yarn donations from parishioners!